Sri Lankan Parliament Speaker Karu Jayasuriya said on Friday that President Maithripala Sirisena has agreed to summon the legislature on November 7, in a fresh twist to the ongoing political crisis after former strongman Mahinda Rajapaksa replaced Ranil Wickremesinghe as the prime minister. Controversially-appointed prime minister Rajapaksa said Thursday that Parliament would be convened on November 5. This was later denied by Rajapaksa loyalists. President Sirisena's party said on Thursday night that Parliament will not be convened before November 16, contradicting Rajapaksa's office. Harsha de Silva, a Wickremesinghe supporter, said that 115 Members of Parliament belonging to different political parties including Wickremesinghe's United National Party (UNP), the main Tamil party Tamil National Alliance (TNA), the Marxist Janatha Vimukthi Peramuna (JVP) -- People's Liberation Front -- met Jayasuriya Friday morning and urged reconvening of Parliament. 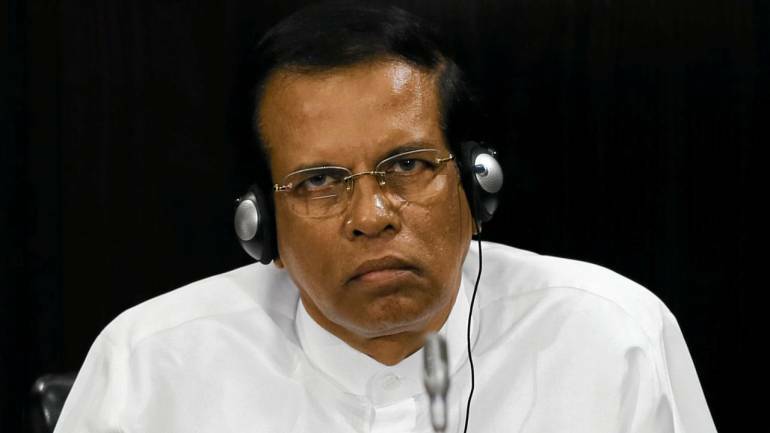 Sirisena replaced Wickremesinghe with Rajapaksa in a dramatic turn of events last Friday and suspended Parliament after the sacked premier sought an emergency session to prove his majority. The President was under increasing political and diplomatic pressure to reconvene Parliament. Rajapaksa has so far managed to rope in five lawmakers from Wickramasinghe's party to bolster his strength to 101. One UNP lawmaker has offered his support to him. It was, however, not immediately known if Rajapaksa has managed to secure 113 votes required to prove the majority.